Being a Writer in Recovery, I occasionally Review books which end up on my Recovery Bookshelf. Here is my Review of "Seeking Serenity: The 10 New Rules for Health and Happiness in the Age of Anxiety"
“Seeking Serenity.” “Desperately Seeking Susan.” Desperately Seeking Sobriety. That’s the word association that finally got me out of bed to write this review. Amanda Enayati, the writer of this book, is a late stage cancer survivor. And Jim Anders, the writer of this review of “Seeking Serenity,” is a chronic alcoholic survivor and a recovery advocate. Could Amanda and I be very different pies, but with the same crust? A quarter way through her book I found my answer in a term related to post-traumatic stress disorder which she identifies as “post-traumatic growth.” A favorite Hemingway quote, “The world breaks us all. Afterward, some are stronger at the broken places,” signaled my unity with Amanda. Pages 54 and 55 of her book provide a complete roadmap of the journey her entire book aptly presents. Knowledge is power, but “emotional drive and actionable steps” are required to put that knowledge into gear and to move forward. Losing stress, finding resilience and redefining values were three key takeaways for me. The Age of Anxiety, our own, which she refers to, is an age of media “engineered frenzy” and the “helper’s high” which she elaborates upon spoke directly to me as a person in recovery. “The prevailing norms are all they have ever known” is her description of youth and that pretty much describes how I got so entrenched in the alcohol and drug culture in the first place. Her “10 New Rules,” so well laid out, thought out and expanded upon, become the ways you may find to reduce toxic stress and create environments for yourself that will enable a more serene and sustainable life. Inclusion of some of my favorite writers in her text, such as Thich Nhat Hanh and Viktor Frankl, made her book feel like a welcome home. “Putting negative experiences into words has positive physical and psychological effects,” Amanda asserts. As a person in recovery, her words ring true. 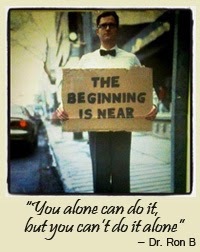 Dr. Jim (that’s me – lol) prescribes that you read two Chapters of “Seeking Serenity” and call me in the morning. 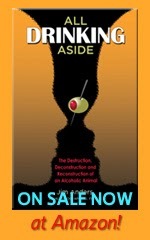 While you're on the Amazon.com site, you may also wish to check out the book I have written titled: All Drinking Aside: The Destruction, Deconstruction and Reconstruction of An Alcoholic Animal. Read all 19 Five Star Reviews in the link immediately above. Check out the Blog immediately below. P.S. Please scroll through and read Lisa Frederiksen's Breaking The Cycles in its entirety. P.P.S. Thanks, Lisa! I am honored.